The Constitution of India is the supreme law of India. It is a living document, the permanent instrument which makes the government system work. It lays down the framework ...principles, establishes the structure, procedures,...sets out fundamental rights, directive principles and the duties of citizens. The nation is governed on the basis of this Constitution. Dr. Bhimrao Ramji Ambedkar is regarded as the chief architect of the Indian Constitution, but it was the Constituent Assembly that worked under Dr Ambedkar and his team that drafted the final copy of the Indian Constitution. Do you have a document which lays down the framework of how money is going to be spent at your home? Have you decided the principles, structure and procedures on which you may spend money, buy luxury goods, spend on holidays? Do you have a fundamental principle, on how you would give directives to your family, about the freedom they have, to spend money? Does your family have a duty to spend wisely, on some principles or guidelines, they should follow; is it followed by every member of your family as a governing rule? As a head of your family, decide the Constitution of Your Money Republic. Decide, on how you would like your family expenses to be. As the "architect" of your Money House, how you should have drafted the Constitution of Your Money Republic saving, spending and investing. Only you can take such vital decisions and lay down the guidelines for your family yo follow them. Like Dr Ambedkar, you should have the financial plan for your family, to be able to take care of their immediate needs, emergency funds, medical and illness money provisions and all such future value money requirements. Let this Constitution of Your Money Republic of your home, impart constitutional supremacy and not member supremacy as it is not created by the members of your family individually but, perhaps created as joint constituent of your family, like you and your spouse jointly and then adopted by your family, with a declaration in the preamble of your family to the Constitution of Your Money Republic for your family. This way, individual choices to (over) spend lavishly, can be curtailed. Today, can I say, that,Constitution of Your Money Republic, can be your "Financial Plan" ? 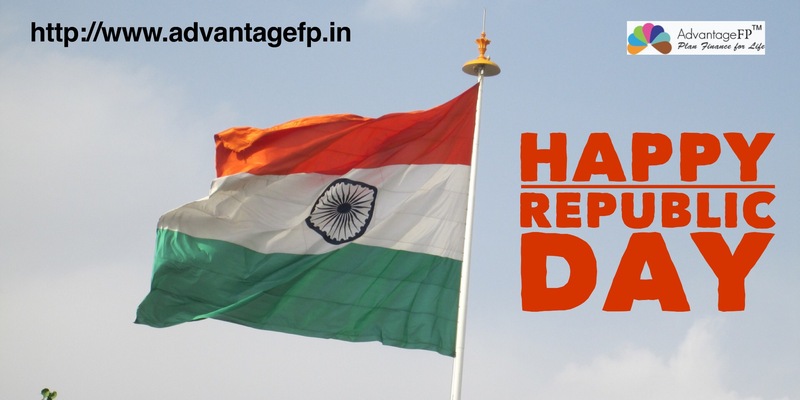 Get it made by a professional financial planner who would understand the above logics and give you an independent, personalised Constitution of Your Money Republic. Constitution of Your Money Republic should get adopted today by your family. To commemorate this Constitution of Your Money Republic Day, in your family, Purna Swaraj declaration of Your Family can be given. This new Constitution, would thus bring you confidence, joy, and pride, in having made the personalised financial plan, which could look at the vast future money needs of every family member and envisage the whole of your family members life ahead and give you opportunity to cast its money in future needs. This Constitution of Your Money Republic of your Family should, then declare "your Family" a democratic republic, assuring its family members of justice, equality, and liberty, and endeavour to promote fraternity among its family members.